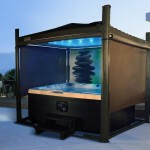 You’ve got the hot tub, now to get the Covana; a fully automated cover for your hot tub or swim spa which lifts at the turn of a key! 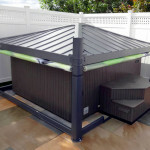 Come and see the Covana automatic hot tub/swim spa cover in our Kent showroom. 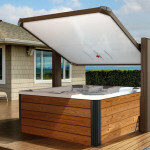 The Covana automatic hot tub cover has a higher insulating value than a standard cover. 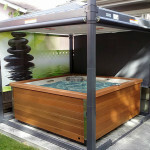 In addition, it seals the hot tub, keeping heat in and preventing evaporation for optimal savings on water, energy and chemical products. Give yourself a break. The Covana raises and lowers with the simple turn of a key – no more lifting covers. equipped with a safety escape hatch.